O Lord of the World, O Cherisher of the Universe, O my Compassionate Beloved. Thou are the master of my life, friend of the destitute, reliever of pain and sufferings of the poor. O my Omnipotent, Unfathomable and Omnipresent Lord, show thou mercy unto me. Nanak says, ferry me across the terrible, dark pit of this world to the other side. ਹੇ ਸ੍ਰਿਸ਼ਟੀ ਦੇ ਮਾਲਕ ਤੇ ਪਾਲਣ ਪੋਸਣਹਾਰ, ਹੇ ਦਇਆ ਦੇ ਸੋਮੇ! ਹੇ ਸੋਹਣੇ ਪ੍ਰਭੂ! ਹੇ ਪ੍ਰਾਣਾਂ ਦੇ ਮਾਲਕ! ਹੇ ਨਿਖਸਮਿਆਂ ਦੇ ਸਹਾਈ! ਹੇ ਗ਼ਰੀਬਾਂ ਦੇ ਦਰਦ ਦੂਰ ਕਰਨ ਵਾਲੇ! ਹੇ ਸਭ ਤਾਕਤਾਂ ਦੇ ਮਾਲਕ! ਹੇ ਅਪਹੁੰਚ! ਹੇ ਸਰਬ-ਵਿਆਪਕ! ਮੇਰੇ ਉਤੇ ਮਿਹਰ ਕਰ! ਨਾਨਕ ਬੇਨਤੀ ਕਰਦੇ ਹਨ, ਹੇ ਪ੍ਰਭੂ! ਇਸ ਭਿਆਨਕ ਅੰਨ੍ਹੇ ਖੂਹ ਰੂਪੀ ਸੰਸਾਰ ਤੋਂ ਮੈਨੂ ਪਾਰ ਕਰ ਲੈ. हे श्रिस्टी के मालिक एवं पालनहार, हे दया के स्रोत ! हे सुन्दर प्रभु ! हे मेरे प्राणो के मालिक ! हे अनाथों के सहाई ! हे गरीबों के दुःख हरण करने वाले ! हे समूह शक्तिमान ! हे अपहुंच ! हे सरब वयापक ! मेरे पे मेहर कर ! नानक बिनती करते हैं , हे प्रभु, इस भयानक अंध कूप रुपी संसार से मुझे पार कर ले. 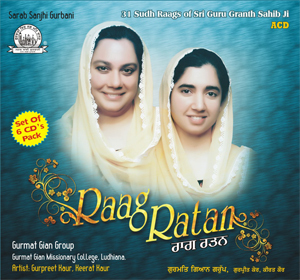 This entry was posted in Shabad Kirtan and tagged Dayal, Gobind, Gopal, Gurbani Sangeet, Gurmat Gian Group, Gurmat Sangeet, Gurpreet Kaur, Japjit Kaur, Keerat Kaur, Keertan, Kirtan, Shabad, Shabad Kirtan. Bookmark the permalink. Just below the video there is an Audio player. 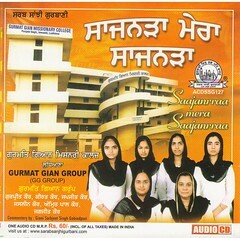 Using this Audio Player you can hear this Shabad. If you want to download this Shabad, on the right side of this player there are 5 icons. Click the icon no.3 from above and you see the Download Link. can i use this shabad for my video to promote hindu sikh ekta if you dont mind then i will do this otherwise i will not do so. Kulwant Singh ji, go ahead use it. You need not ask for doing anything Good. I have heared it for the first time this morning. 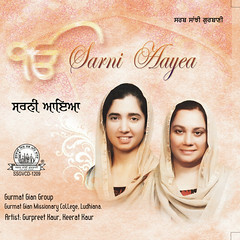 Have loved to hear good Gurbani. Would like more of such Shabads on this portal. You are doing a great services to mankind. Gos bless all of you. Very well sung. visuals provide the necessary serene and tranquil backdrop. Feel like listening again and again. Thanks and keeo it up. I thank Waheguru who blessed you with such sweet voices and showered classical sangeet upon you. main tuhada shabad sundri wali movie vich sunya c par mainu tuhade baare vich kuch pata nhi lagya ki eh shabad kisde han par ikk jatha ohde vich kirtan karde han. par main ohna da kirtan pehli war sunya te dekhya. mainu ena wadiya lagya ki i have no words. oh movie main boht war dekhi kyonki ohde vich jehre 2 shabad han (hey gobind) (sur nar mun jan) boht hi sohni awaaj hai koi shabad nhi han kehan nu. tusi v plz apney baare kuch dasna. tusi sochonge ki eh tan poori letter hi likhan lagg pai hai par sorry for that plz reply me tnx. ਗੁਰਮਤਿ ਗਿਆਨ ਗਰੁੱਪ ਦੇ ਬਲੋਗ ਤੇ ਆਂਨ ਦਾ ਬਹੁਤ ਬਹੁਤ ਧਨਵਾਦ. ਸੁੰਦਰੀ ਫਿਲਮ ਦੇ ਸ਼ਬਦ ਸਾਡੇ ਗ੍ਰੋਉਪ ਨੇ ਹੀ ਗਯੇ ਹਨ. ‘ ਸੁਰਿ ਨਰ ਮੁਨਿ ਜਾਨ ਅੰਮ੍ਰਿਤ ਖੋਜਦੇ ਸੁ ਅੰਮ੍ਰਿਤ ਗੁਰ ਤੇ ਪਾਇਆ ‘ ਰਾਗ ਰਾਮਕਲੀ ਵਿਚ ਮੇਰਾ ਗਾਏਯਾ ਹੈ. ਸੁੰਦਰੀ ਫਿਲਮ ਵਿਚ ਮੈਨੂ ਹੀ ਕੀਰਤਨ ਕਰਦੇ ਦਿਖਾਯਾ ਹੈ. ‘ ਹੇ ਗੋਬਿੰਦ ਹੇ ਗੋਪਾਲ ਹੇ ਦਇਆਲ ਲਾਲ ‘ ਵਿਚ ਕੀਰਤ ਕੌਰ ਦੀ ਪ੍ਰਮੁਖ ਆਵਾਜ ਹੈ. ਸਾਨੂ ਬੜੀ ਖੁਸ਼ੀ ਹੈ ਕੇ ਤੁਹਾਨੂ ਸਾਡੀ ਗਾਯਕੀ ਅਛੀ ਲਗੀ. ਇਸ ਬਲੋਗ ਤੇ ਕੁਛ ਕੁਛ ਦਿਨ ਬਾਅਦ ਨਵੇ ਸ਼ਬਦ ਪਾਏ ਜਾਂਦੇ ਹਨ. ਜਰੂਰ ਸੁਨੋ. Gurpreet Kaur ji: I am so impressed by this composition. It is so spiritual that my four year old sings it non-stop every time she watches Sundri movie. 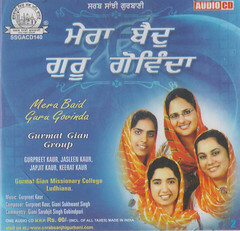 I live in Canada with my family and I wanted to thank you and Keerat Kaur ji, I think she sang this shabd with you, for doing justice to the Gurbani. 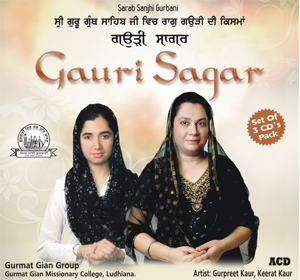 I wish more Women contribute to Gurbani like you because I feel that currently the full spectrum of The Guru Granth Sahib’s Gurbani has not been explored. 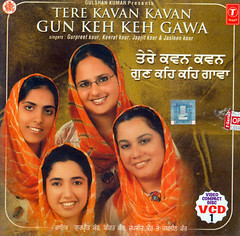 I hope that we get to hear the Gurbani that has not been sung even by the “popular” kirtani jathas. Thank you so much. I will also be happy to contribute to your efforts in any way I can, so please do not hesitate to contact me for help. Thanks Gurpreet Ji for being here and liking the Shabad Kirtan. Sri Guru Granth Sahib is a vast treasure and a lifetime may be too short to explore it fully. We are trying our best to make use of this life to sing as much possible. We just completed recordings of Shabads in all the 31 Shudh Nirdharit Raags of Shri Guru Granth Sahib Ji. Hope to release this album in a couple of months.